The ceremony was attended by UMC members, Dato' Naharudin bin Hj. Ali, Group CEO, IIUM Holdings Sdn. 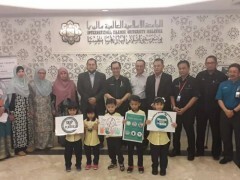 Bhd., Dr. Azlin Suhaida Azmi (KOE's staff and Chairman of IIUM Plastic Waste Management Committee) and representatives from the Development Division, Kulliyyah of Engineering, Residential and Services Department, STADD, Mahallah, Educare, Canteen Operators and IIUM students. 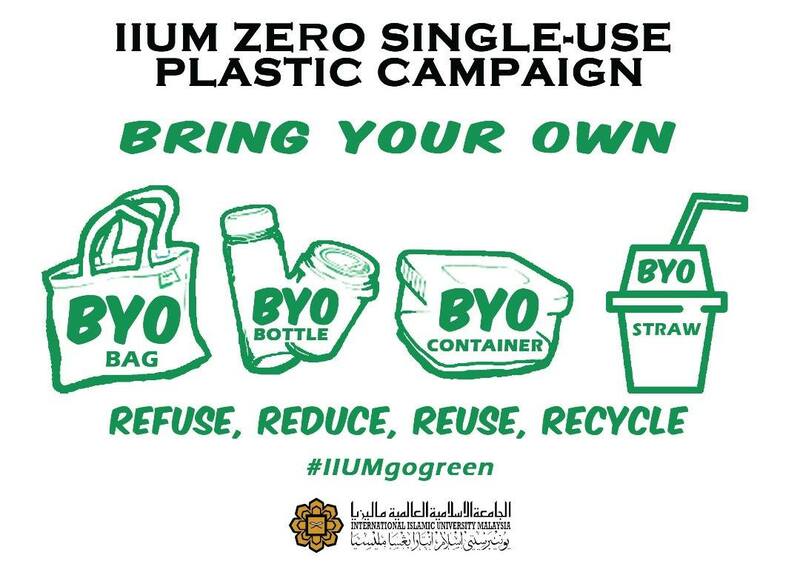 IIUM has taken the initiative to become campus with zero single-use plastic. 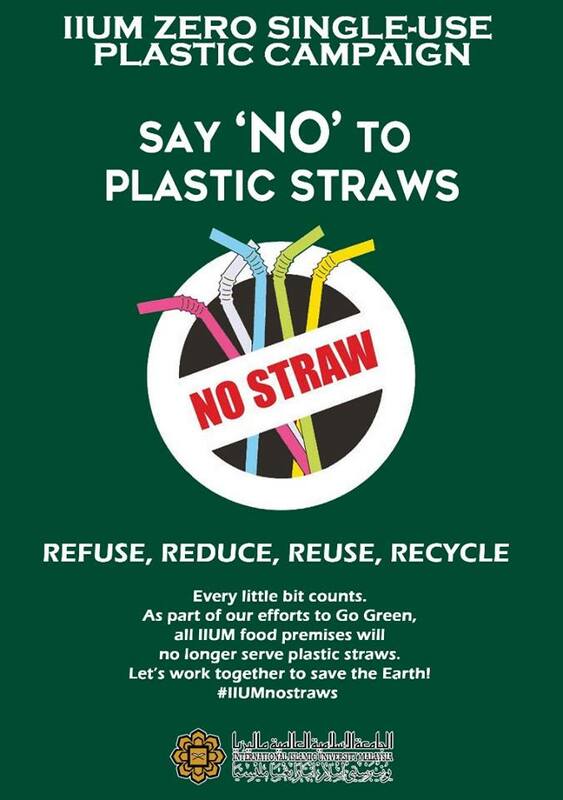 Let's make it possible with our joint effort.